Transfer deadline day, it’s a biannual event in the football calendar. ‘Event’ being the keyword in that sentence, it now happens as routinely as the FA Cup or the Champions League final. Football fans find themselves submerged in a sea of yellow ‘BREAKING NEWS’, rumours and media hyperbole for 24 hours on deadline day. The general football populous has no qualms jumping onto Sky’s yellow bandwagon and becoming fully engrossed in the media frenzy which is the culmination of the transfer window. However, it reached breaking point in 2014 with what I can only describe as ‘Dildogate’. Yes, I am going to stand by that term. So this year, Sky Sports banned fans from gathering around its reporters who were stationed at the various clubs around the country. It was clearly an attempt to ensure the safety of its reporters and prevent hilarious purple dildos, blow up dolls and other unsuitable objects/people appearing on live TV. This may have somewhat diluted the appeal of deadline day but in my opinion, this made it slightly less loathsome than it has been over the past few seasons. Overall, it’s been a welcomingly quiet transfer window this January, although we couldn’t quite get away from Jim White and his cronies in their yellow attire. However, here are a few of the notable signings which could prove significant come the end of the season. Jose Mourinho left it late to sign Juan Cuadrado from Fiorentina and André Schürrle’s £24 million move to Wolfsburg freed up the funds to complete the deal. The £27 million transfer fee for the Colombian could prove to be a good investment for Chelsea during the end of season run-in. 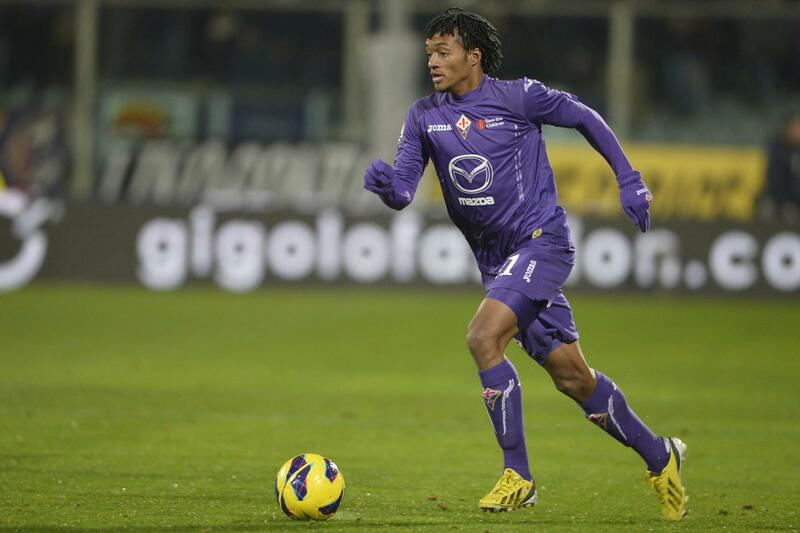 In Cuadrado, Chelsea has acquired a player who is exciting, direct and most importantly, in-form. He carried his World Cup performances into the domestic campaign in Italy, impressing in a variety of positions in the first half of the 2014/2015 season. A versatile player, Cuadrado operates effectively as an attacking midfielder on either flank, as a forward or even as a full-back. At Fiorentina he’s been at his most effective playing behind lone front man, Mario Gómez. Cuadrado managed 4 goals and 2 assists in 10 appearances from this position which eclipses Willian’s current stats for Chelsea. It’ll be particularly interesting to see if he immediately usurps Willian in the Chelsea side as has already been rumoured but there’s no doubt that his athletic and technical ability will be a perfect fit for Chelsea. Manchester City spent the largest transfer fee of any side in the league with the £28 million signing of Wilfried Bony. Bony has been continually linked with the bigger teams in the Premier League and he finally got his move earlier in January. The Ivorian target man has consistently scored goals at every club he’s played for and now he has the chance to do this on the biggest stage for City, who is still fighting for honours in the Premier League and the Champions League. Edin Džeko and Sergio Agüero have both struggled with injuries so far (although the latter is now fit and starting) and Stefan Jovetić hasn’t been afforded many starts this term. This could provide Bony with the opportunity to build on his 11 goals for club and country so far this season. 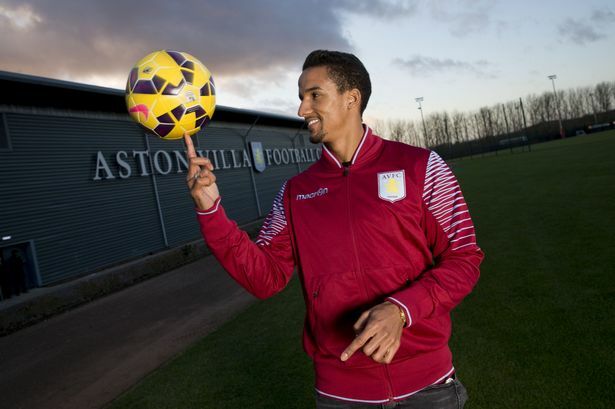 Scott Sinclair, almost a forgotten man. The 25-year-old English winger became a perennial bench-warmer after his signing for Manchester City in 2012 and his career has stuttered ever since. He’s now joined Aston Villa on-loan until the end of the season giving us all some, small hope that he can rekindle his career and show that ability which he consistently demonstrated at Swansea. There’s nothing more frustrating than watching a talented player waste his ability sitting on the bench. So, for the love of God! Please, somebody sign him up in the summer! It was seemingly a transfer out of left-field when young Spaniard, Carles Gil joined Aston Villa from Valencia earlier in January. Unless you’re a dedicated Valencia fan or a Spanish football expert then there’s little chance that you’ve heard of Gil before he sealed his move to Villa. From what we’ve seen so far, he’s a creative midfield player with an eye for goal, something which Villa has lacked in midfield this season. Gil may well be the player to provide that direct attacking influence, along with Sinclair, that Villa need to steer clear of relegation this season. If the Spaniard’s goal against Bournemouth in the FA Cup is anything to go by, then I look forward to seeing more of him in a Villa shirt. The transfer window slammed shut on 2nd February with slightly less of a bang than usual, meaning we’re relatively safe until summer. Unfortunately, in an age of 8 second attention spans, there’s little chance of a significant change in the way the media reports football transfers anytime soon. Despite January 2015 being a quiet window, it will be no less significant for the teams at the top and bottom of the Premier League where titles are won and relegation’s averted.